It's official: Marvel Phase Three is here. So what the heck does that mean? Well, for one, it means that many of your favorite characters are about to take a dirt nap. 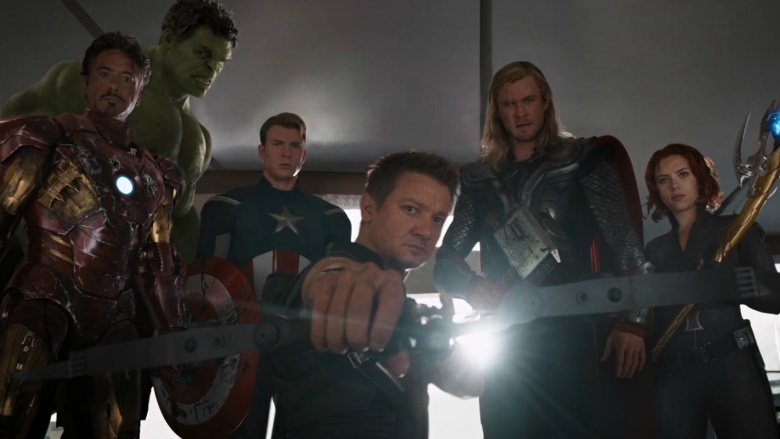 Here's a look at some of the huge characters that will probably die in Phase Three—and why. No spoilers, but in the comics crossover event Captain America: Civil War is based on, Captain America gets killed. Wait, did we say no spoilers? Sorry. He obviously survived in the movie version, but his comics death isn't the only reason we don't expect Cap to make it out of Phase Three alive. 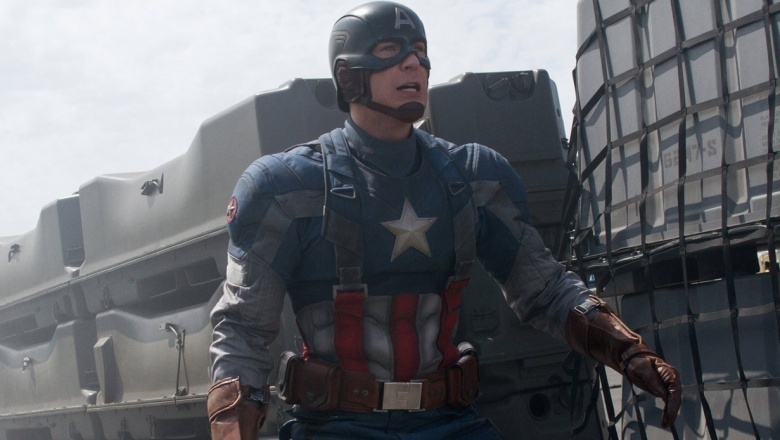 While star Chris Evans has spoken publicly of his desire to continue working with Marvel, he's also been forthright about wanting to work behind the camera instead of in front of it—and as director Joe Russo told the Huffington Post, Cap setting down his shield at the end of Civil War should definitely be interpreted as the character "letting go of that identity." Evans might be around for Phase Four, all right. He's just more likely to be directing Sebastian "Bucky" Stan (or Anthony "Falcon" Mackie) as the new Captain America. RIP in advance, Steve Rogers. If there's one thing we learned from studying Norse mythology, it's that Ragnarok is very, very bad. After all, it involves the destruction and death of all the gods. 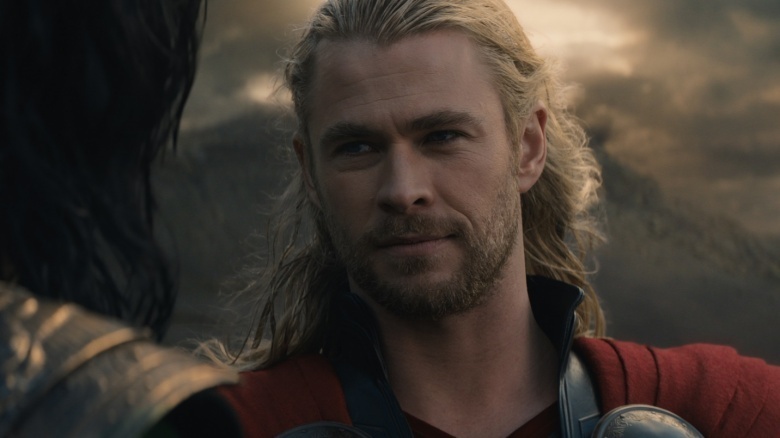 So expecting Thor to survive the events of Thor: Ragnarok is beyond optimistic. There is some hope, though; in the comics, Ragnarok is an endlessly repeating cycle of death and rebirth, so it's possible Thor could be reborn. But he'll have to die first for that to happen, so don't be surprised when ol' goldilocks takes a permanent arrow to the knee. 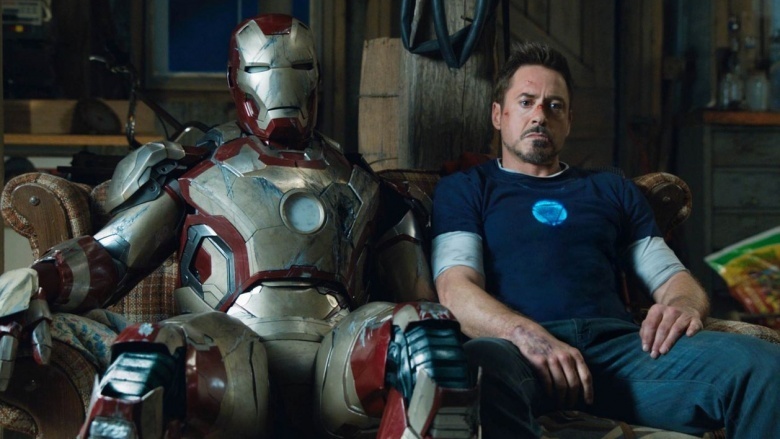 Of all the stars powering the Marvel Cinematic Universe, none is as important as Robert Downey Jr.—and none have been quite so up front about being tired of putting on his costume again. 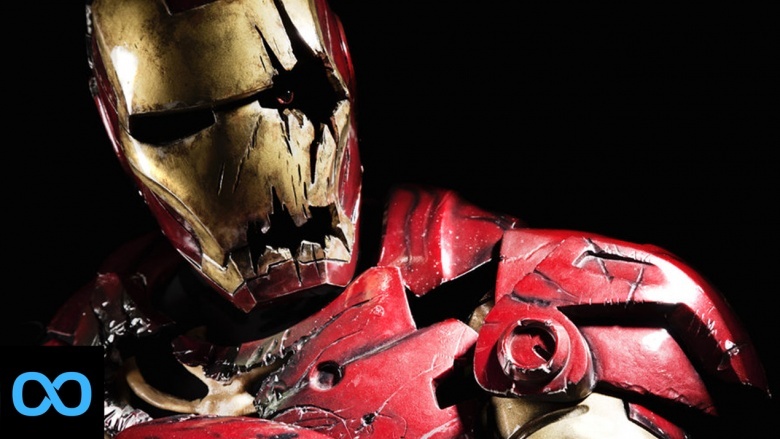 So it shouldn't come as a surprise to anyone if Iron Man makes the ultimate sacrifice in Avengers: Infinity War, especially given the clear foreshadowing of exactly that in Tony Stark's dream sequence from Avengers: Age of Ultron. At least it's probably going to be epic. Tony Stark is just one of many heroes we're expecting to meet their end in Avengers: Infinity War. 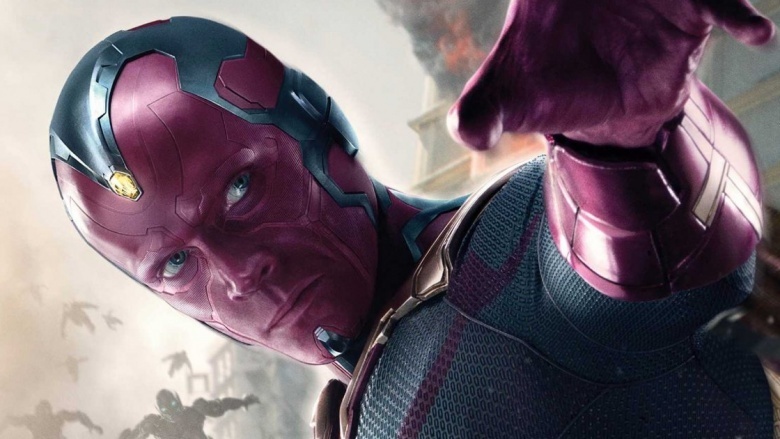 Chances are pretty good that the Vision is going to join him in perpetual rest. Why? Well, the synthetic man who stole every scene in Avengers: Age of Ultron was given life by the Infinity Stone he wears on his brow—and Thanos is going to need that stone in order to complete the Infinity Gauntlet. Hopefully someone will be able to rebuild Vision after Thanos dismantles him. Drax the Destroyer's entire reason for living is to exact vengeance on the villains who killed his family. And that means Thanos. It's inevitable that Drax is going to get a showdown with Thanos at some point, but given their relative power levels, it's also inevitable that Drax is going to come out on the losing end. Don't be sad, though. 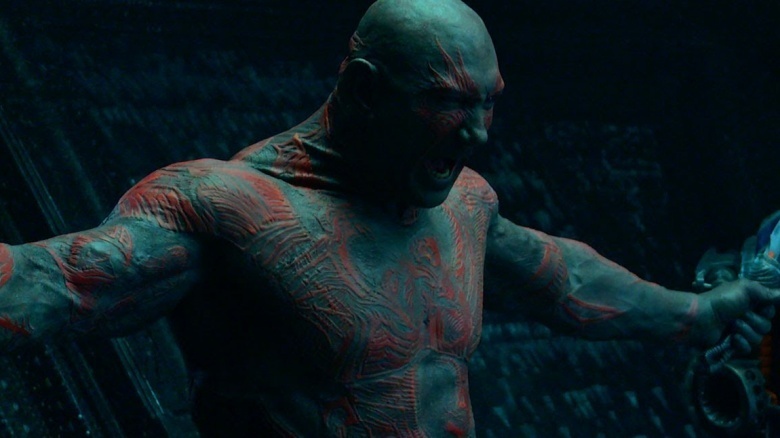 When you think about it, is there really any other way the single-minded Drax could go out? 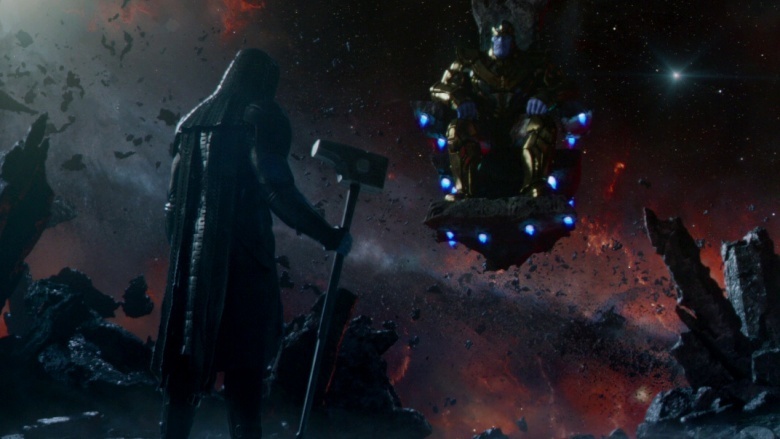 Drax isn't the only member of the Guardians of the Galaxy who has a grudge to settle with Thanos. His adopted daughter Gamora is also one of many looking to permanently wipe that giant grin off of Thanos' ugly mug. Given that he trained her to be the universe's deadliest assassin, she has a better chance than most. 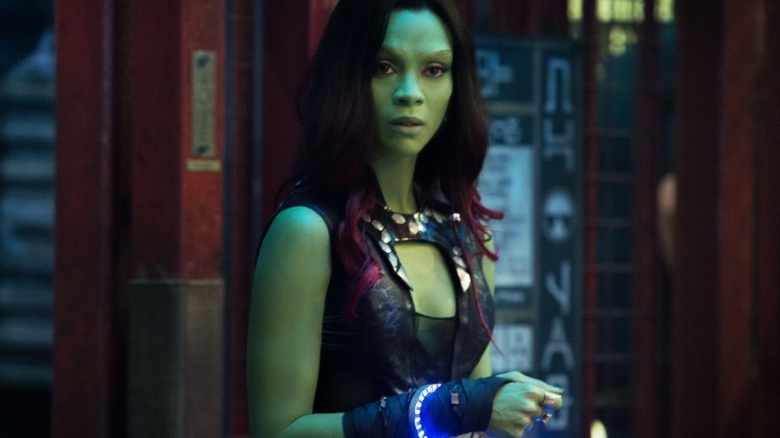 But, like Drax, Gamora has one big thing going against her odds for survival: in the comics, they both were killed by Thanos. Hey, it ain't easy being green. If it sounds like pretty much everyone you care about is going to die, that's because they are. In the comic book Infinity Gauntlet, the inspiration for a lot of the cosmic stuff in the Marvel movies, Thanos actually wins and kills everyone. Don't be surprised if that's the cliffhanger ending to Avengers: Infinity War. Of course, eventually Thanos is defeated anyway and most of the heroes are resurrected, so don't worry, the Marvel Cinematic Universe will survive. Whether you'll survive the stress of the viewing experience, though, is another question.